Last night Jess and Less stopped at one of their favorite places in the square for a frozen treat: BERRYLINE! 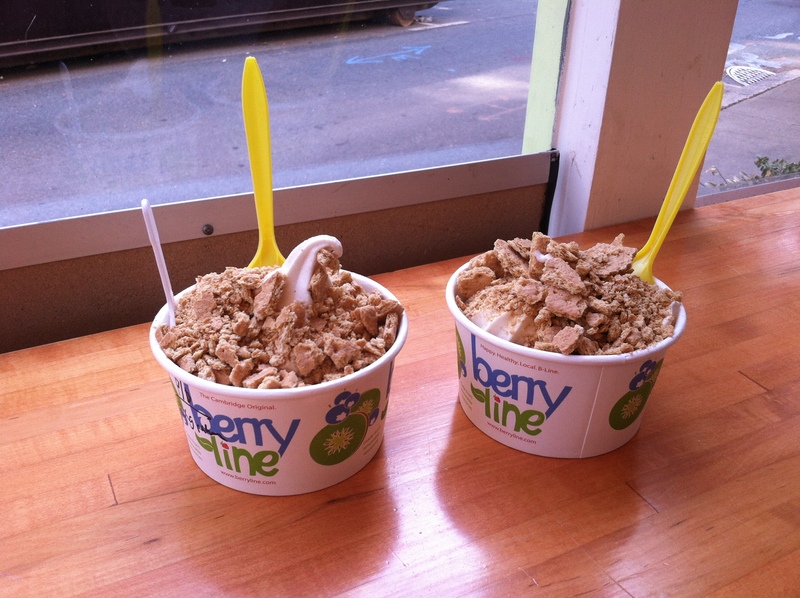 We absolutely love Berryline and as soon as we found out that they were serving peanut butter and banana-graham flavored frozen yogurt we knew we had to take a trip. We both sampled the two flavors and decided to get both. The peanut butter tasted a bit like the peanut butter half of a pb&j, and the banana graham had a pretty strong banana flavor. 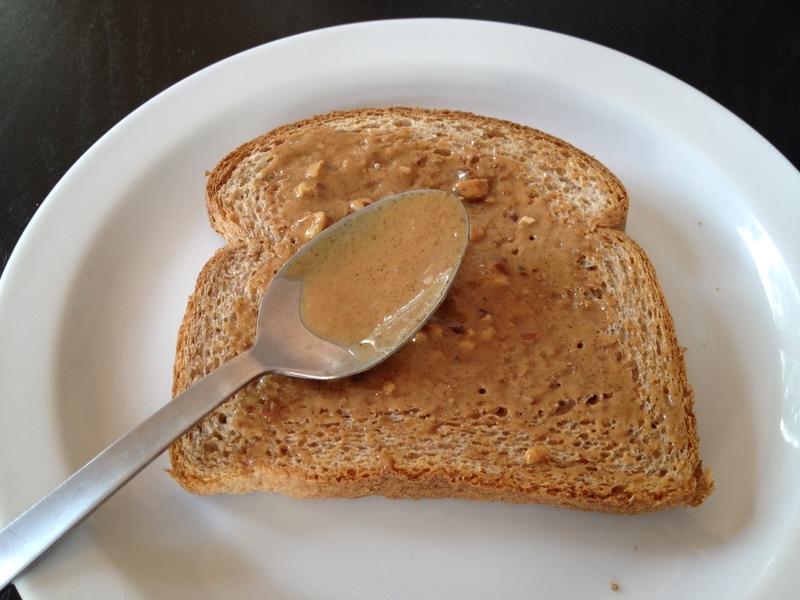 We both topped ours with graham crackers (Jess’ favorite topping choice). 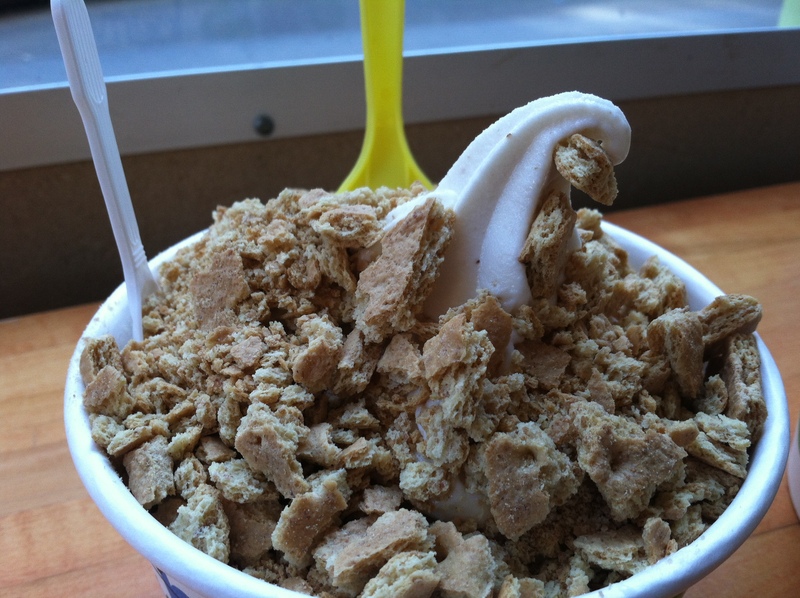 We also may or may not have gotten extra graham cracker topping on the side. After our berryline treat we both went to referee a volleyball game for summer school. We stayed there until around 8:30 and Less ate her dinner there which was a bit of leftover salad from ABP, a few carrots and Trader Joe’s roasted garlic hummus. 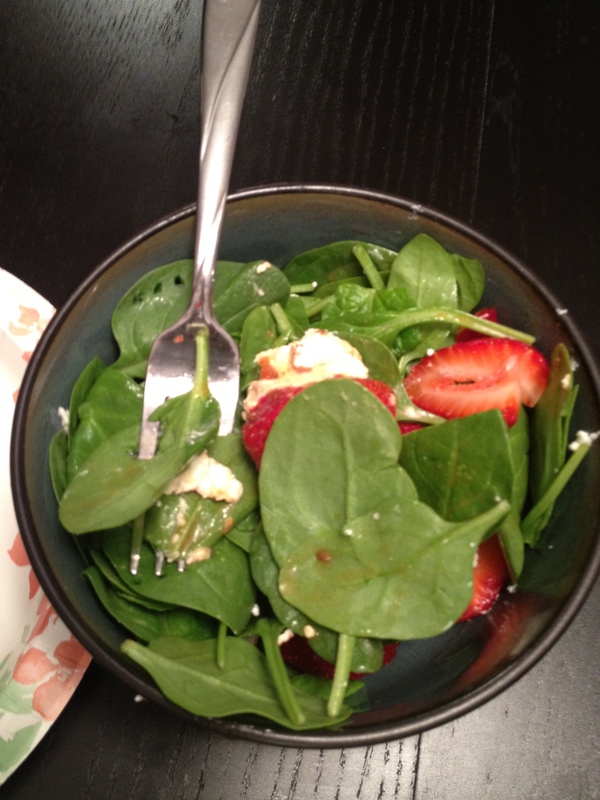 Later on Jess made herself a salad with spinach, goat cheese, a sprinkle of walnuts, strawberries and a mango vinaigrette. 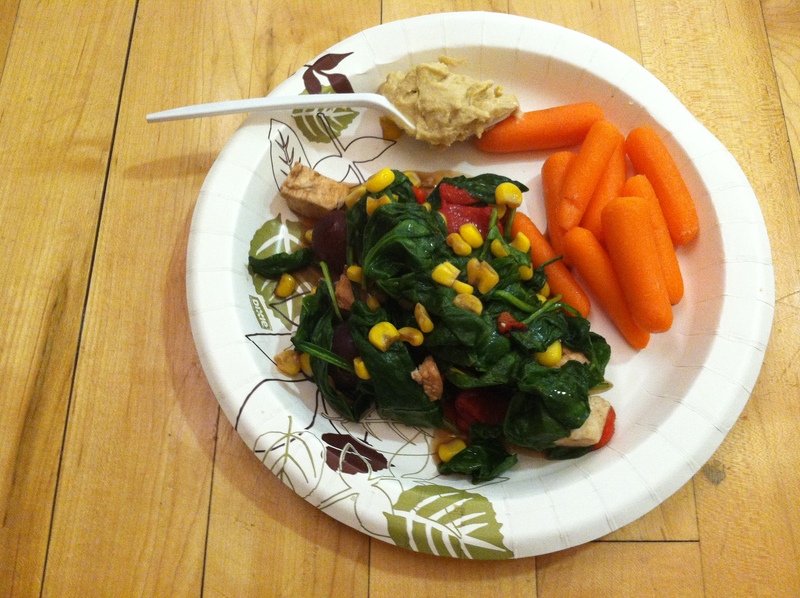 On the side, sweet potato medallions! 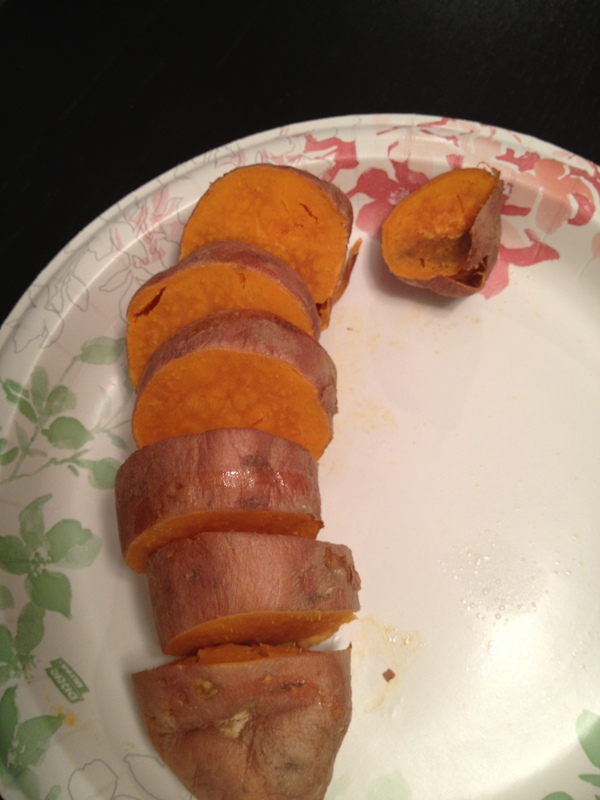 You just fork a few holes in a sweet potato, pop it in the microwave for about 4 to 5 minutes and slice into medallions. Jess also added a bit of ketchup to the side and ate them like french fries. This morning we decided to do the fourth of july pyramid minus the 6x200yrds at the end. Usually we do the pyramid at a 7:00min/mile pace but this morning we were pushing hard probably around a 6:20min/mile pace so we decided to skip the 200’s at the end. After we stretched and did a few ab exercises. Check out the full pyramid explanation on our Cardio page! After working out this morning we came back to Jess’ and had breakfast. 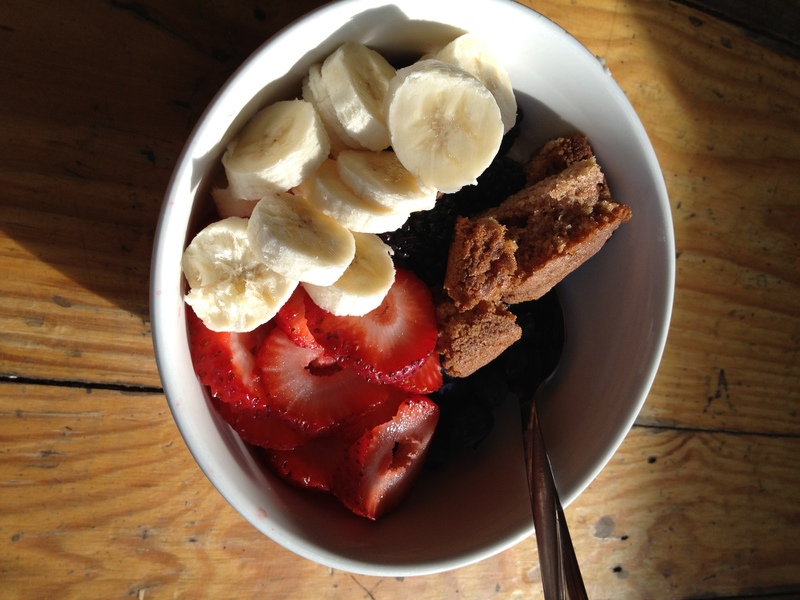 Jess had another yogurt bowl with greek yogurt, strawberries, blueberries, blackberries, a banana and a sliver of zucchini bread. 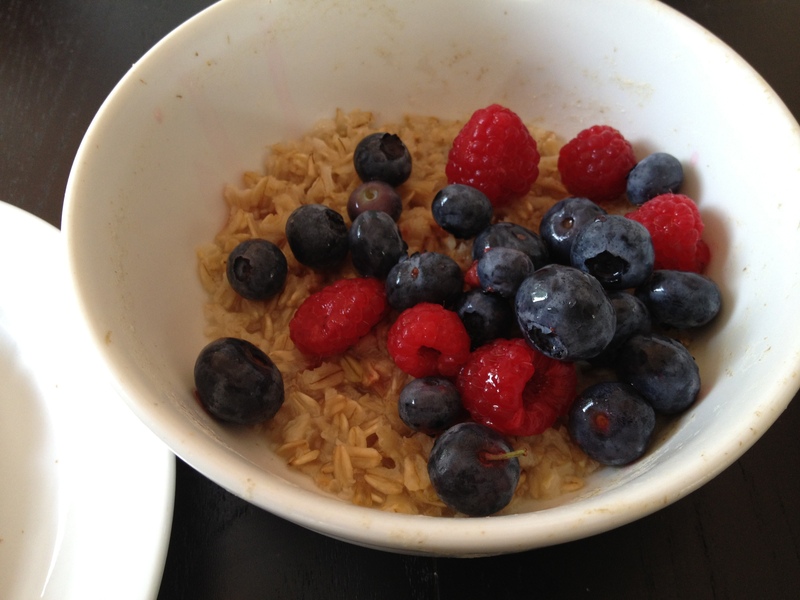 Less had a bit of oatmeal topped with mixed berries and a piece of toast with Trader Joe’s almond butter. 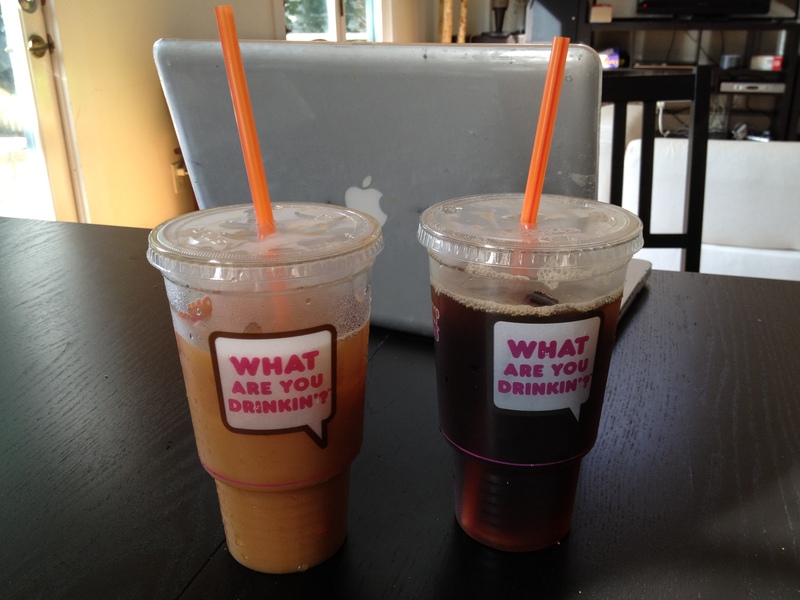 We were both pretty tired this morning so we also downed these after our workout! Do you ever need a bit of caffeine after a hard workout?